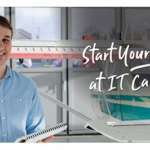 Institute of Technology Carlow, IT Carlow, is one of the major third-level education providers in the South East of Ireland. Institute of Technology Carlow, IT Carlow, is the fourth-largest Institute out of 14 Institutes of Technology in the country (7,000 learners). IT Carlow’s Lifelong Learning Programme provides courses, evening classes and adult education for adults to upgrade their skills and qualifications in line with current trends. Accredited courses are offered in the areas of Business, Computing, Science, Engineering and Humanities. Courses are available at the main campus at IT Carlow as well as Wexford Campus, Wicklow County Campus, Rathnew, Co. Wicklow and An Cos n, Tallaght, Dublin. Customised programmes for industry are also available, for example, the BBS (Honours) Aviation & Transport and the BBS (Honours) Emergency Services are held in Dublin & Shannon. Courses are for Carlow and surrounding areas. For more information about courses, evening classes and adult education at IT Carlow, view our courses below in the Nightcoursers.com Course Finder or contact us using our details below.